I only want to inform you, that we are working on a 3.0.36 kernel version for the Gamepad and other RK2918/RK3066/3188 based tablets. We are also working on JB 4.2.2 and CM10.1. Currently we have the first working beta's running on Odys Loox (RK2918), Odys Genio(RK3066), CM V88 Quad(RK3188). Unfortunatly the Gamepad is a little bit more complicated, cause at this time we have no valid information about the builtin screen. 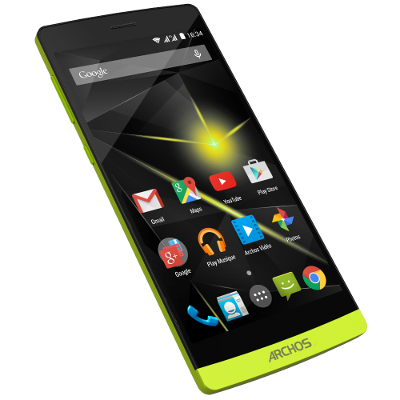 The official released kernel sources of Archos (Version 3.0.8) are not correct. If someone here at the forum has further information about the builtin screen type, like parameters etc., I would be really happy to built a custom kernel for the Gamepad to get JB 4.2.2 up and running. Just to be sure, what you need is the LCD display and touchscreen parts in the Linux kernel source ? are there any required source code for the Android system as well, or you'll be able to work from the binary files from the existing GamePad firmware ? I'll check around to see if I can get you something. So yes, these codes are part of the kernel source. There are no related Android source codes, because I only need to get the screen initialised and this does not happen now. Mostly of the Android screen part is done (libstagefright etc. ), also the framebuffer and vpu_service in the new kernel is up and running. But unfortunatly we cannot use any binary files from the original firmware, because the JB 4.2.2 needs an 3.0.36 kernel. This is a problem of precompiled .so and .ko we have to use. These libraries are linked against a 3.0.36 kernel, and do not really work with older kernel versions. Due to massive changes in the structure of Android JB 4.2.2 in comparison to JB 4.1.1, the old libraries are not working anymore. Additionally it looks for me, that the old JB 4.1.1 libraries are a backport to ICS 4.0. I have made a deeper look in the published JB 4.1.1 Sources of Odys, and there are massive changes done to AOSP 4.1.1 to get the libraries working together with the framework. Hope you can get it work soon. Thanks a lot for your work!!! Can you explain whats the benefits are with the newer Kernel? Are you gonna add some overclock possibilities or more governors or just the (almost) stock kernel? The benefit is easy too explain... we need an 3.0.36 kernel to get Android JB 4.2.2 working. Some parts of the JB Releases of Rockchip are closed source and linked against a 3.0.36 kernel. This is the reason that this parts don't work with an older kernel version. Second, we will add more modules to the kernel, like NTFS filesystem support, CIFS filesystem support, external ethernet adpaters, external audio or printing possibilites. Overclocking is not on the agenda first, we have to test if this works, cause on RK2918 the cpu was throttled down from 1.2GHz to 1 GHz, which is not the case on RK3066. Have you checked the include file arch/arm/mach-rk30/include/mach/rk30_board.h in the kernel source code from this source code release ArchosGamePad_GPL_release.tgz ? There are a bunch of display related constants, I just hope it's the file for the right device, as the header mentions "rk30_a97xsk.h" which looks more like the Archos 97XS Missing anything in particular ? yes I tried the code, but it is a wrong release. The internal build describes a A70GT, not an A70GP. I have mailed Archos if they could correct it, but they never answered this request. And what about making CM10, which is 4.1.2 and probably kernel 3.0.8 is enough. In fact 4.1.2 would allow the use of BT dongles, whereas in 4.2.2 only BT UART is supported. Oma already released a JB 4.1 Gaming Edition and a CM10 Edition. Both can be found on our page crewrktablets.arctablet.com. Both work with the Stock Kernel of the Gamepad, only issue that I have found was a battery signal problem. The stockkernel don't give the right messages to Android. But why is 4.1.2 for BT needed? Its more a thing, if you have kernel drivers for that or not. Google removed support in 4.2 fot BT usb dongles, only internal UART is supported, they changed bluez stack. Although you include BT drivers and protocols in the menuconfig when compiling kernel, won't work for that reason. Hopefully yes, but at this point they have not released correct source codes. I have tried to build the sources, they compile, but the Gamepad does not boot with this kernel. Looking inside the defconfig, it was clear that this is a wrong release. 1. the compiled kernel does not boot, not even a boot screen. Not showing a bootscreen indicates that screen parameters are incorrect. 4. the dmesg of the kernel print out messages which cannot be found in source code. I don't know if you are right, but if that would be true, than the Android mk808b 4.2 mini pc, which is delivered with a bluetooth dongle for the remote and JB 4.2, would not make much sense. It's in the Google aosp. They change bluedroid libs, that¡s why blueZime doesn't work ok in 4.2 too I think. At least it is for all my devices, maybe in the case of rockchip is different, or they use a different stack, but at least in amlogic and allwinner is not possible to use bt usb in 4.2.2. I have made kernels and roms for allwinner and amlogic in 4.2.2 and never was able to use. Chistrian Troy developer from slatedroid claims that too. But maybe in the case of rockchip is different. I would like to be wrong. Unfortunately, as you say, seems archos kernel is not ok, or not complete at least, my screen is also ft5406 chip. so let's hope release something that works ok.